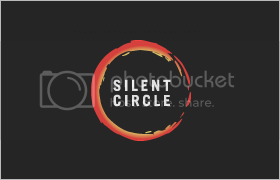 Silent Circle consists of four products – encrypted text, phone, video chat, and email. These multiple apps will essentially replace your standard apps on your iOS or Android device. With increasing amount of surveillance these days, encryption apps will be become more and more in demand. Silent Circle is one company that wants to revolutionize how the world communicates – securely. If you are looking for specific details about the technology and security used, head over to Silent Circle now. When you communicate to another silent circle subscriber, whether it be via phone, text video or email, your data is encrypted peer to peer, end to end, from your device with every communication session. Your conversation or data will remain private, safe from any eavesdroppers. A very important (optional) extended feature allows you the ability to communicate with others that aren’t signed up with Silent Circle. Without this, your connection will not be encrypted after it leaves Silent Circle’s servers. All four products use end-to-end encryption and erase the session keys from your device once the call or text is finished, and most importantly, Silent Circle’s servers don’t hold the keys. Text messages are encrypted on your device, keys are negotiated for each conversation and never leave your device. Each message is encrypted using a new key that is only used once and then burned, so even if your device is examined, there are no keys to be had after the conversation is complete. Silent Circle does not have the ability to decrypt your communications across it’s network and the same applies to anyone else you might be concerned about – governments, businesses, neighbors or identity thieves. Their servers stores minimal information about its users and they don’t retain any metadata. It costs approximately $20 a month for the service.